Description (From Goodreads): On her seventeenth birthday, Katie discovers a locket and decides to wear it for good luck. But when her boyfriend Isaac finds out she cheated on him with their mutual best friend Mitch, no less he dumps her, leaving her devastated. And then a miracle happens. The locket burns on Katie's chest and she feels herself going back two weeks in time, to the night she cheated with Mitch. At first, Kate is delighted to be a better girlfriend to Isaac this time around. But as other aspects of her life become inexplicably altered, she realizes that changing the past may have had a dangerous effect on her present. Can she make things right before the locket destroys everything and everyone she loves? 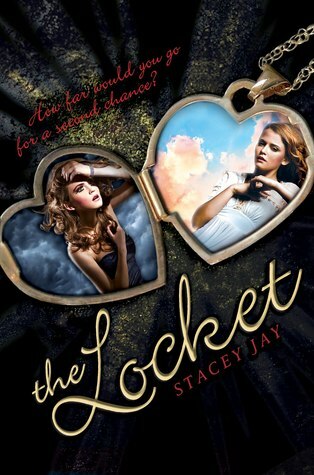 The Locket by Stacey Jay has a very interesting and unique premise. With the help of a magical locket, Katie travels back in time hoping to change her biggest mistake - the night she cheated on her boyfriend of three years, Isaac. Isaac is the only boyfriend Katie has ever had and she feels they are supposed to be together forever. They often talk about getting married - that is what they have always envisioned. All of this is put in jeopardy, when Katie - disappointed and hurt by Isaac blowing her off, kisses their mutual best friend, Mitch. So, when Katie is given the opportunity to go back and change history, she thinks it's her very own miracle. However, she soon discovers that things in this new version of the world are slightly different. Some of her friends are slightly different, the local coffee shop's logo has changed and the boys and girls dressing room locations are changed in the theater. At first she tries to not let these things get to her, but as time goes on and she notices more and more changes, she begins to get scared. The whole concept of things changing in her life was a little odd to me. I would understand if she was traveling to alternative version of her world, but she is just going back in time. Sure, future aspects of her life would change - based on the new decisions she makes - but I don't think that things from her past would change. I was hoping that this would be explained somewhere along the line, but it really isn't. The other part of the story that I didn't particularly enjoy was how obsessive Katie was with Isaac. Yes, she loves him and she is upset about cheating on him, but I felt like she was a little over the top. It felt like every couple of pages she was talking about their "perfect future" together - which they have already picked out kids names. I don't mind mentioning this once or even a few times, but it got to the point where it was rather tedious and redundant. However, besides her slightly unhealthy obsession with her future as Isaac's baby’s-mama, I adored Katie. You don't get to read about many southern girls (She lives in Tennessee) in Young Adult lit and I thought Katie was adorable. She is big on manners and politeness, and of course, she says "ya'll". She is a good friend and tries to be there for everyone and help solve everybody's problems. Katie was also a very rounded character. She definitely had her fair share of flaws and weaknesses. She doesn't think too highly of herself - she often says that she is the "less interesting half" of the Isaac/Katie relationship. She can also be too nice - she is somewhat of a doormat and lets people walk all over her. My other favorite character (besides Katie) was Mitch. Mitch grew up next door to Katie and they consider each other best friends. He is also good friends with Katie's boyfriend, Isaac - the three of them were inseparable from a young age. Mitch is totally my type. He is tall and lanky, sarcastic yet considerate and oh, yeah he is in a band. At the beginning of the book (before Katie has time traveled) Mitch and Katie haven't really spoken in a few weeks - not since the incident. When she goes back in time, they are friends again and end up spending a lot of time together. As they spend more and more time together, Katie begins to feel something between them. At first she decides its simply aftershocks from kissing him (which now, never happened), but at time goes on, she finds it harder and harder to deny or mask her feelings. This comes as a shock to her, because she has always been Isaac's girlfriend, and has always loved him. Jay creates a wonderful dilemma for Katie; does she stay with Isaac - who she as always thought of as her first and only love - or does discover where a relationship with Mitch could go? I thought the Locket was a fun read, with a great premise and message. Everyone makes mistakes - but what would happen if we could go back and change them? While the idea was topnotch and the characters were interesting, I was really bothered with how Katie's world kept changing. I wish that it was explained in the book, because it really did not make sense to me. 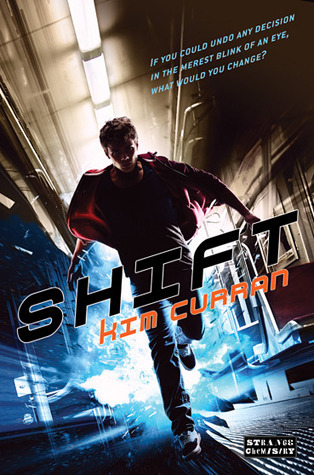 Nevertheless, I still enjoyed the book and would recommend it! The lack of explanation about why the past keeps changing does sound frustrating, but this seems like a really cute story. I haven't seen much Southern stuff in YA, either, so that's also interesting. I'm really glad you enjoyed this one. I'm a fan of Jay's other series You're So Undead To Me and was hoping this one was just as good. I'm also really glad the characters are well fleshed out. Mitch sounds like my type too! Thanks for posting this review! I Love the premise! It's a shame it wasn't quite as good as you hoped. Lack of explanation bothers me in a book too. What a great review. This one sounds so good! Great review! I would assume things like that would change. Kind of like how that one Simpsons episode where Homer changes something back in time, comes back to the present and it rains donuts. Or like Butterfly Effect. Things like that are always interesting to witness!